Red Grape tomatoes are bite-sized red tomatoes that grow in bunches of about 20 on indeterminate healthy plants. They are extremely easy to grow and thrive in hot humid climates. The fruit is very sweet and resists cracking. Outstanding Features: Resistant to Fusarium Race 2, Tobacco Mosaic Virus, late blight, and leaf spot virus. 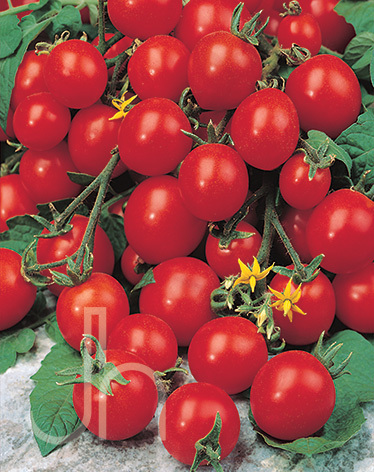 Click here to buy Red Grape Tomatoes direct from www.buygardenvegetables.com.